Introducing my friend and Etsy Forget Me Nots Daily Discoveries Teammate, lulu lang! I adore her shop featuring handmade cards, invitations, gift tags & paper crafts. Her work is so hip (I think I may be telling my true age using that term) creative and fresh! In celebration of her Year Anniversary on Etsy she is holding a Giveaway starting tomorrow, One lucky winner will receive 6 cards and 6 gift tags valued at $25.00, check out her Blog for more details! My name is Tracy and I run a little Etsy shop called Lulu Lang, where I create and sell handmade cards, invitations, gift tags, stationary and paper crafts. I live in the just outside of Toronto, Ontario where you can usually find me crafting away and pursuing my dream of some day running my shop as my full time job. I joined Etsy only a year ago, and love the opportunity it has given me to sell to customers worldwide. I started making cards about 8 years ago as a hobby, but last year I decided to take the plunge and see if I could actually be successful at doing what I love to do. So far, this adventure has been a big learning experience, but I am having tons of fun and I have met some wonderful artists on Etsy who are also doing following their hearts and dreams. I love seeing the smiles on people’s faces when the open one of my cards. I know they appreciate a handmade card more than any store bought one, and it is what keeps me doing what I love to do. There is just something about paper that gets me excited. There are so many different textures, colours and patterns and there are so many different things you can do with it that it never gets boring. I admit, I am a paper addict, but ribbon, stamps, embossing powders and gorgeous little embellishments also put a smile on my face. I have so many ideas spinning around in my head that my hands can’t keep up with all the crafting. You can find me on Etsy, Facebook, Twitter and my Blog. I hope you take a minute to stop by, and don’t be shy to say hello! 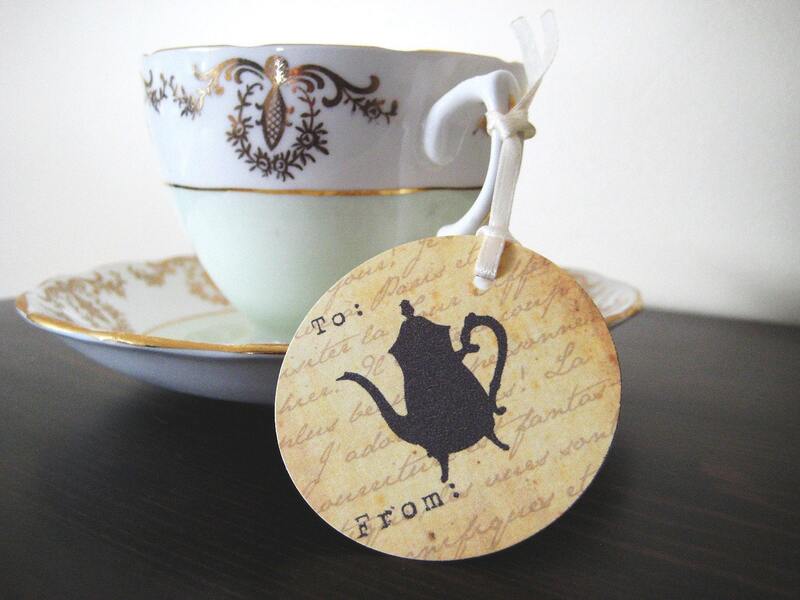 I love her shop & those teapot tags are so pretty! 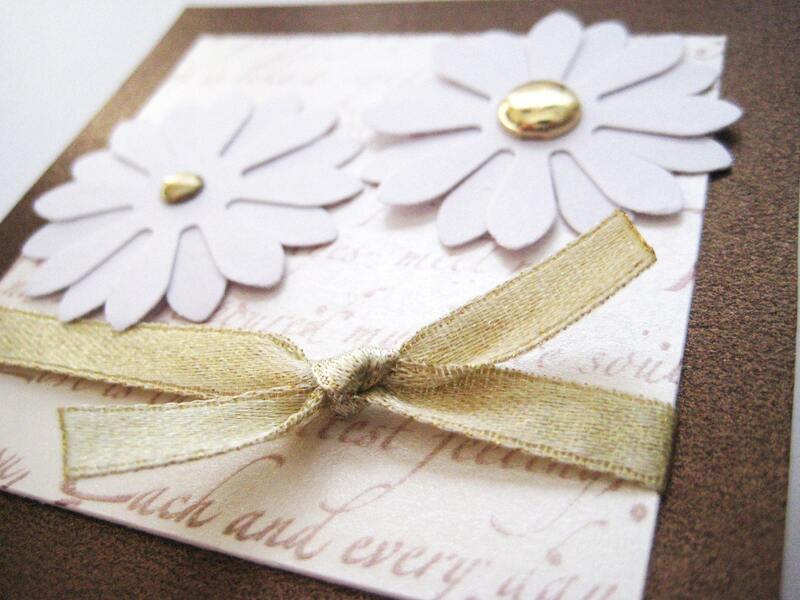 Gorgeous daisy card too! Just a beautiful Etsy shop! Thanks so much for the feature Alyssabeth's! !